Coupon sites have been around for years. Many of us still rely on them to save money on thing we want to buy. The market is very competitive, but if you believe you can outperform existing coupon sites on the market, there is no reason you shouldn’t get involved. 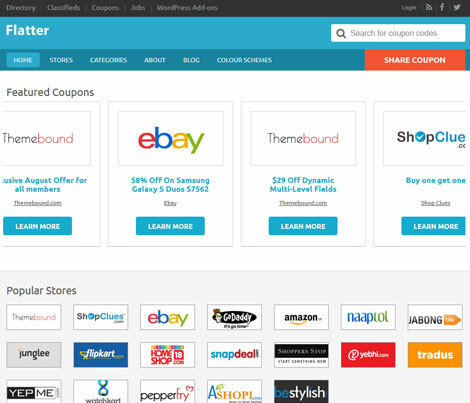 Flatter is an elegant child theme for Clipper that lets you build a coupon website using WordPress. Flatter has a responsive design and 11 color schemes. It is designed to maximize your affiliate commissions. It has everything you need to promote popular stores and coupons. The theme options panel lets you customize the look and feel of your website. Ultimately, the quality of coupons you post is going to determine how successful your website will be. 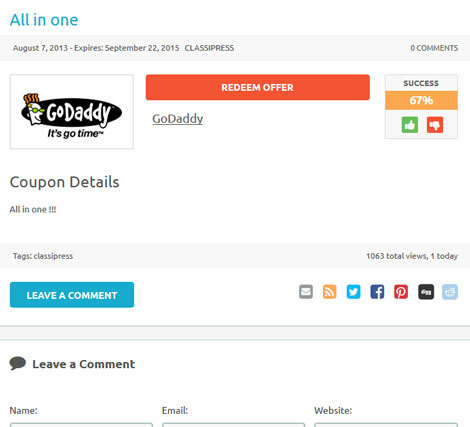 Themes such as Flatter simply give your coupon site a more professional look.